A superb visual impact is critical when separating the ordinary from the extraordinary in buffet. Steelite International shares your passion for excellence in catering through superior offerings in melamine buffetware from Creations. Creations serving and display pieces provide unrivaled drama and intrigue to make a lasting impression. 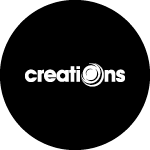 from Creations. Creations serving and display pieces provide unrivaled drama and intrigue to make a lasting impression.